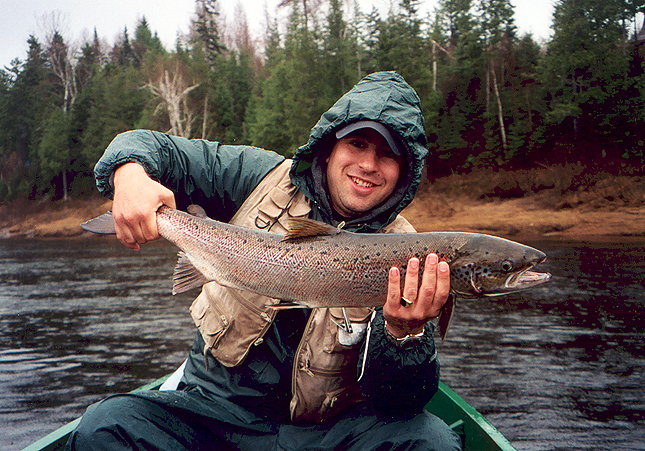 Some Wild Atlantic Salmon from the Mirimichi River in New Brunswick, Canada. 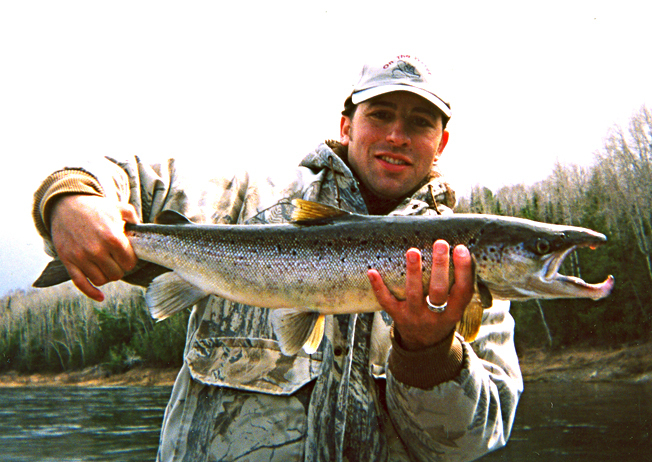 Below native Atlantic Salmon of Canada, All caught on fly rods. 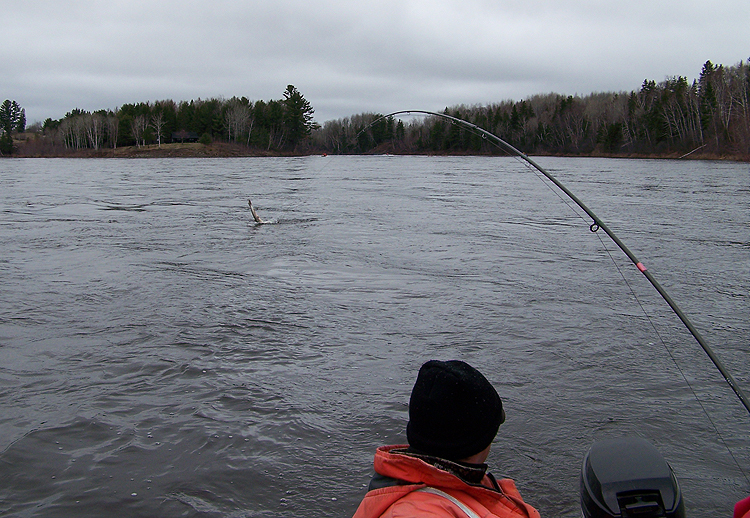 The Golden eagle and grey ghost were the flies of choice on these trips. 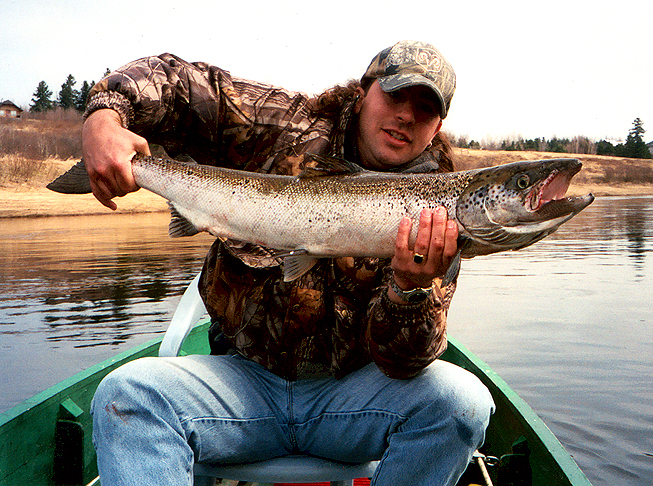 The stories I've heard of these legendary fish being ultimate fighters, have all proven to be true. 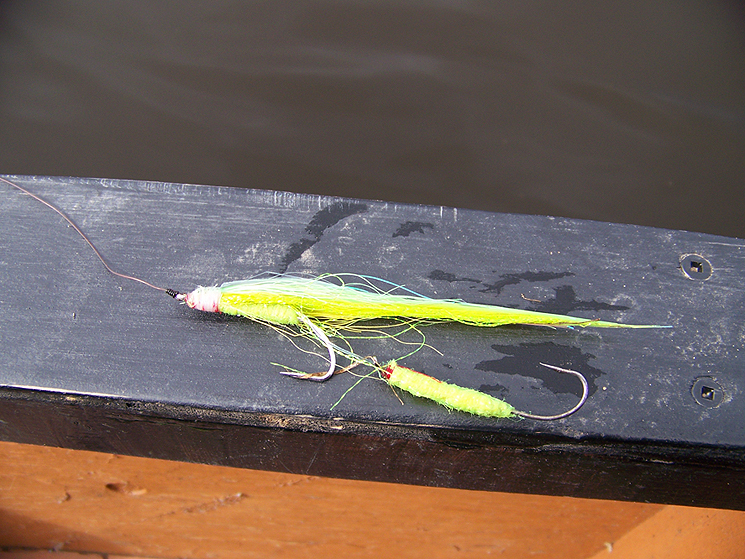 They are fast and they are strong and know how too use the river and it's current against you. 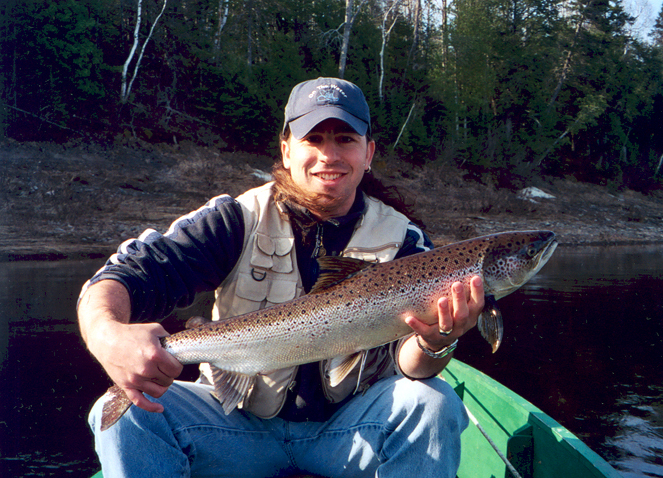 The MA broodstock Atlantic program is what started my love affair with these fish and when I hooked into a few I was impressed by their fighting ability. 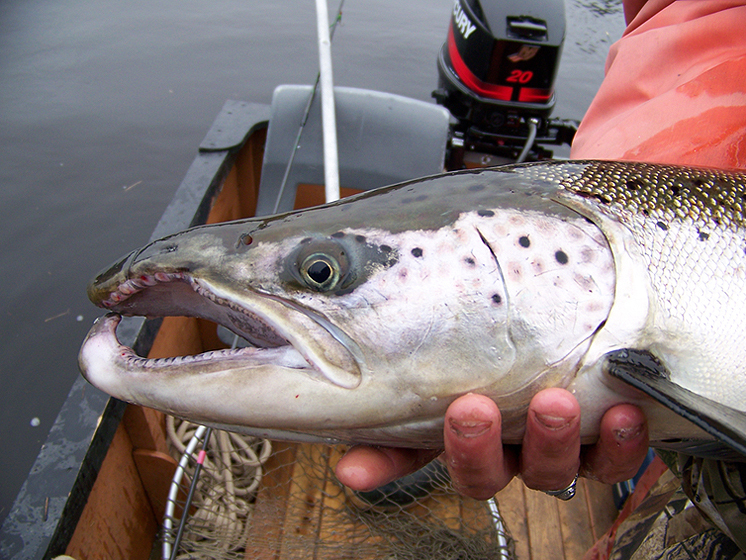 Then one day I thought to myself if these hatchery reared fish fight this hard, what about the wild and native fish of Canada. 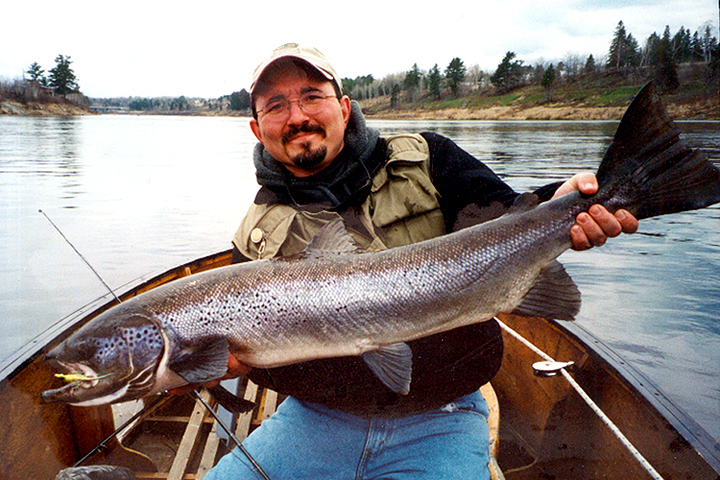 This sparked some very long road trips to Canada's famed Mirimichi River. 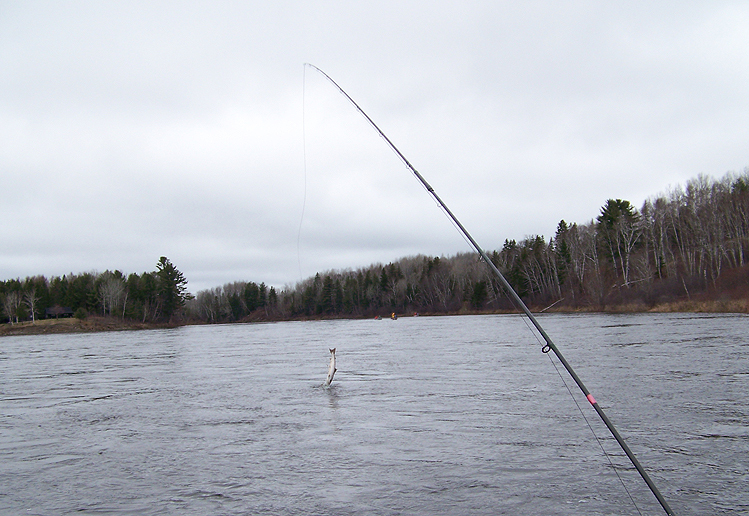 Me and my buddy Mike had a blast and I can't wait to return someday. 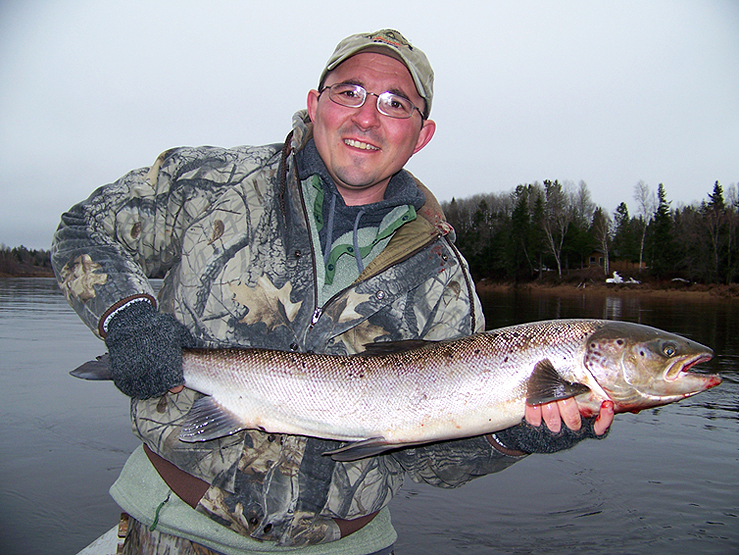 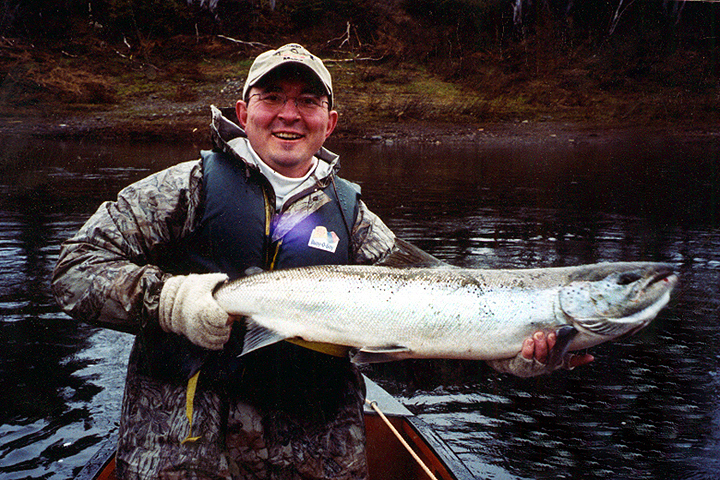 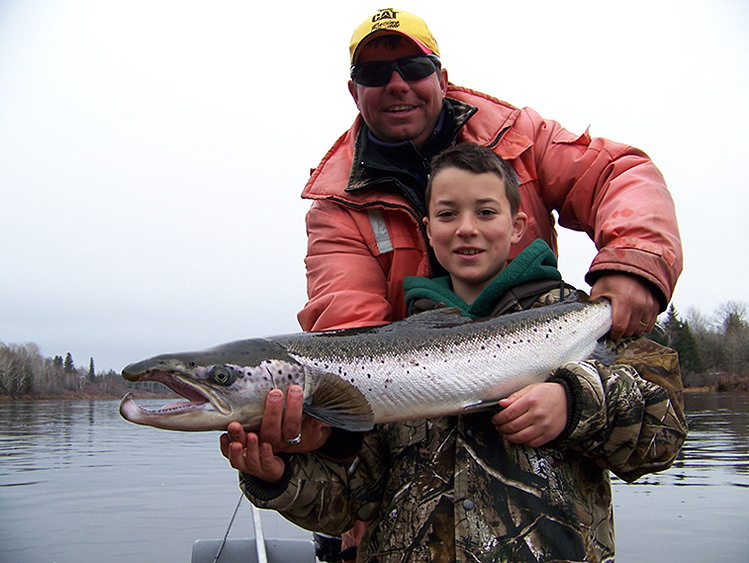 If Atlantic salmon is on your list you need to hit this river. 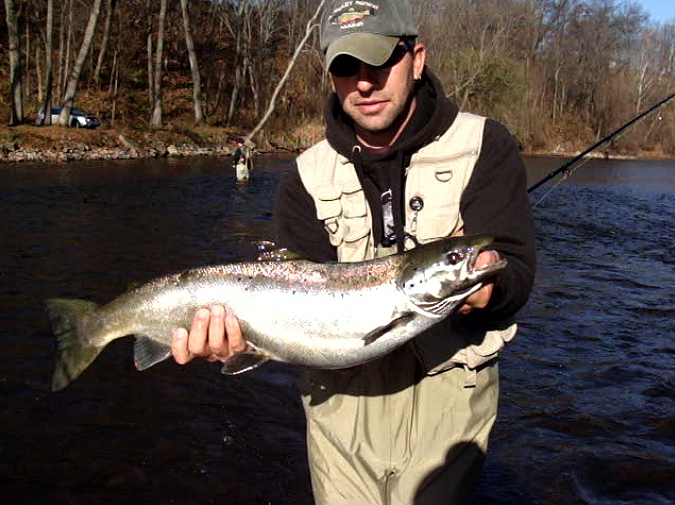 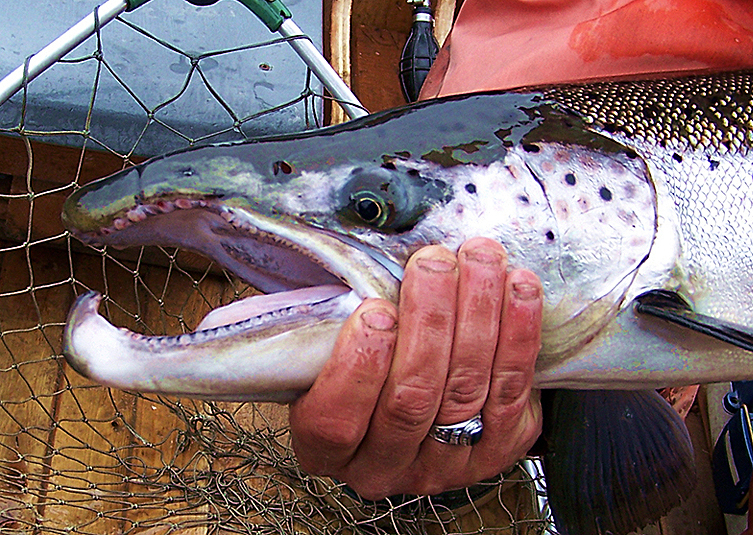 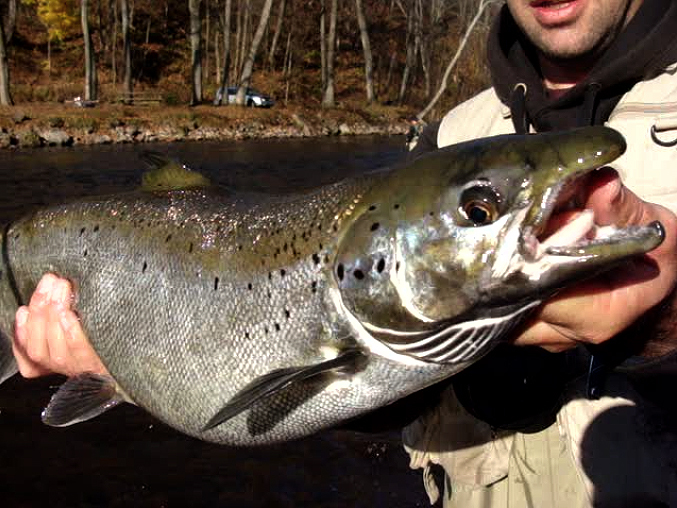 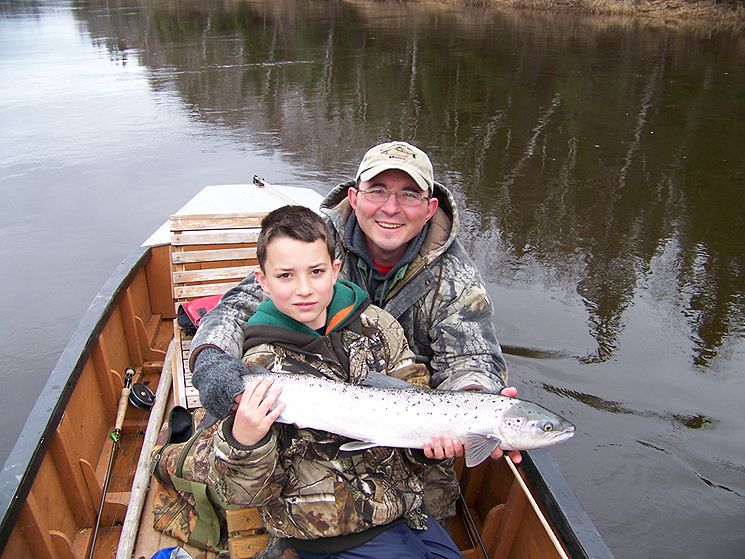 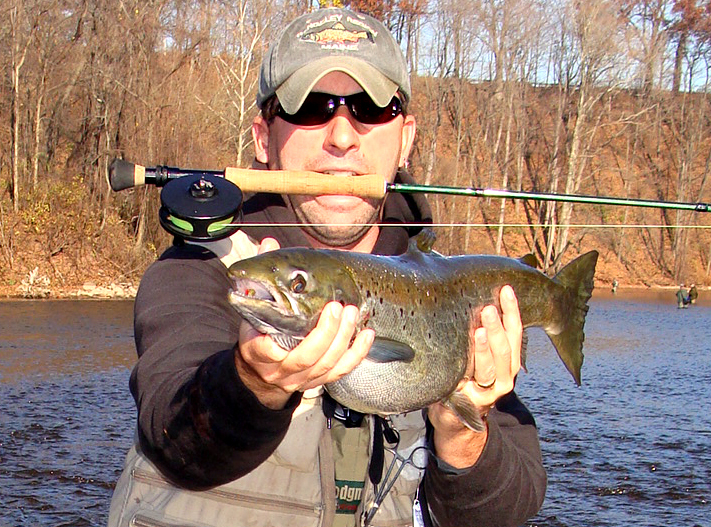 Below a Rare Wild Atlantic Salmon from the Oak Orchard River in New York.